SPECS: 10° and 12° with Ping Alta CB, Ping Tour and various aftermarket shafts, including Mitsubishi Kuro Kage Silver Dual-Core TiNI 60, Project X HZRDUS Yellow 75, and Aldila X-Torsion Copper. RECOMMENDATION: Targets mid- and high- handicappers who fight the banana ball on a regular basis. 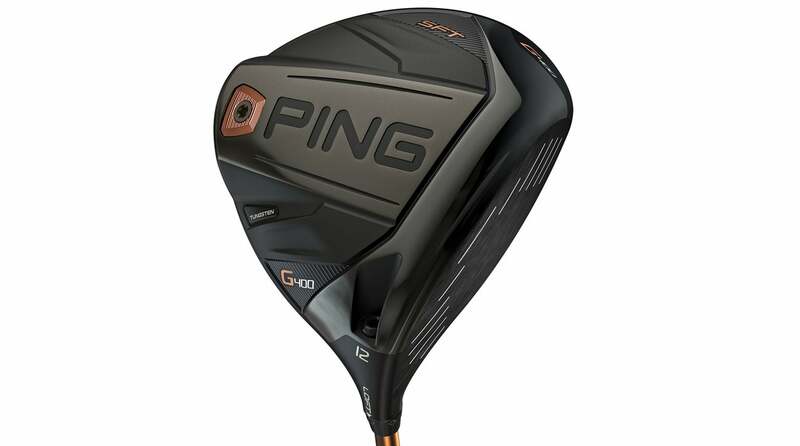 The third variation of the standard G400 driver features the same distance- and forgiveness-enhancing technologies as the others, but with the addition of a tungsten weight in the heel area of the clubhead. This slight design alteration produces significantly different results for players who have difficulty releasing the clubhead through impact. The result for many is straighter shots or even a right-to-left ball flight, with more accuracy and distance than a club with a traditional weighting profile. "A straight hitter that's extremely forgiving on hits all over the clubface. Produces a towering, high-launching trajectory that yields solid distance. Spin rates are mid-low and the overall design with heel weighting can be effective in limiting slices and blocks."